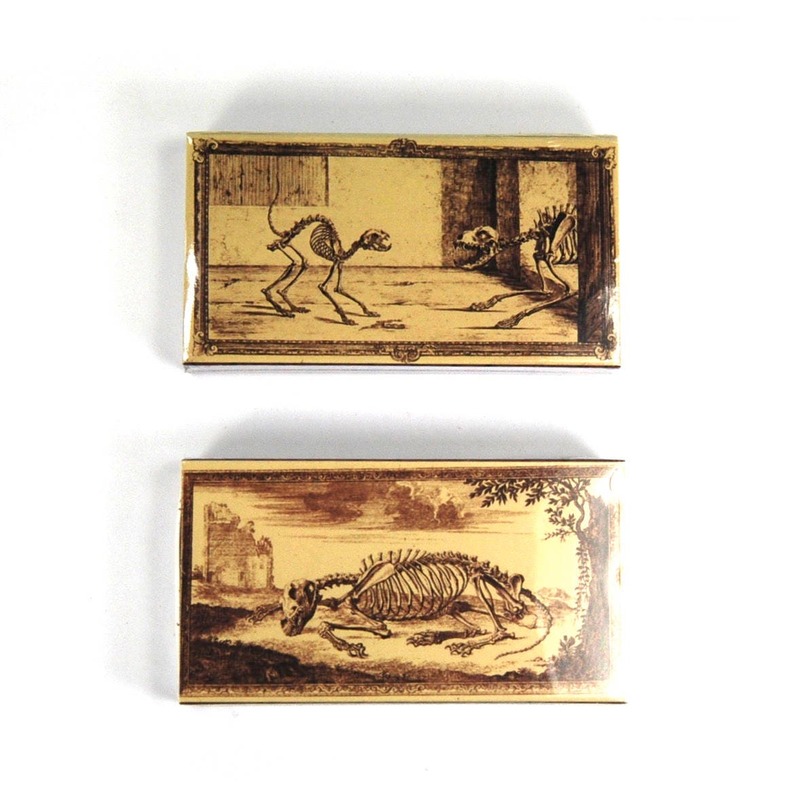 For your consideration is this lot of TWO boxes of decorative matches. They are double sided with different vintage style prints on each side. 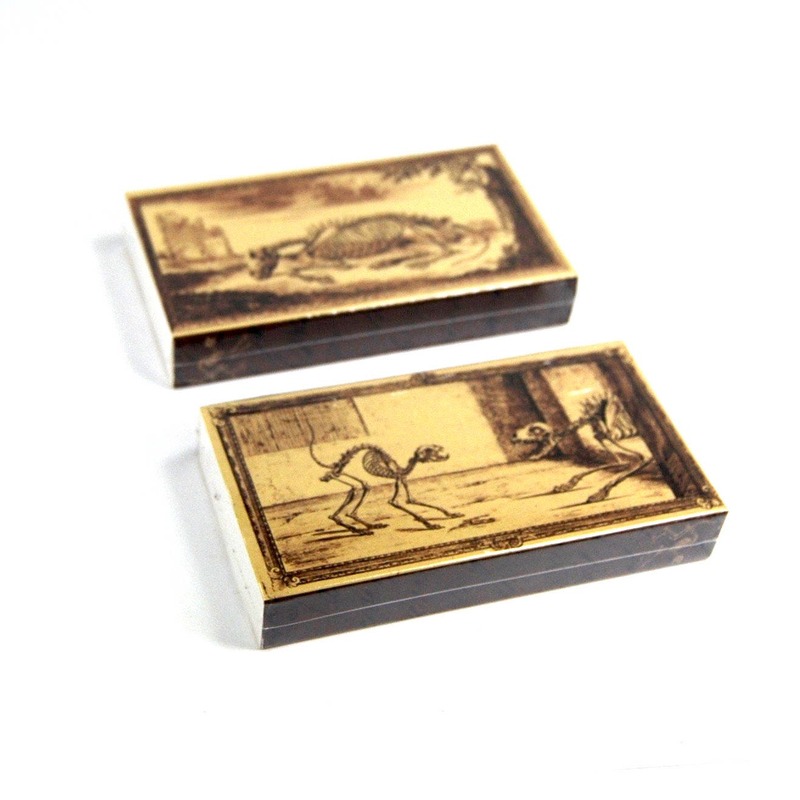 This set features a fight between a skeleton dog and skeleton cat on one side and a skeleton horse on the other.